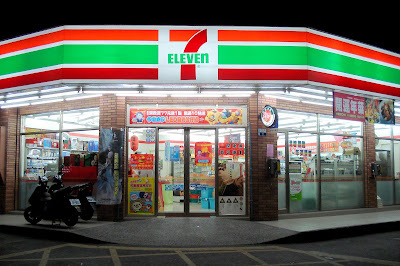 Bangkok, Thailand – Migrant workers from Laos, Myanmar and Cambodia totaling to about three million, will be able to renew work permits at Seven Eleven stores nationwide which will take effect at the end of this month. Migrant workers from three neighboring countries will soon be enjoying the convenience of renewing their work permits at the famous convenience store found on almost every corner throughout the kingdom. According to Labor Department General Director Arak Promanee and 7-11’s Counter Service Arm Wiradej Akkrapanich at a Bangkok hotel, the new agreement between government and the commercial sector would dramatically reduced the long waiting times. Assuming that documents are in order and complete, the entire process is expected to take a mere one minute per migrant worker. Workers will still be able to renew at labour offices but officials reckon that some 50% of the foreign workforce are likely to avail themselves of this new measure. Workers will be able to drop into 7 – 11 after work rather than taking time off, said the officials, further easing the pressure at labor departments. The new service is expected to begin at the end of March following an agreement in principle reached last month. Workers will pay a 100 application fee, 1,800 baht for a two year permit to work and just 10 baht processing fee to the shop. Answering questions about areas where there are most migrant workers the officials noted that in Samut Sakhon province where there are a high quota of migrant workers there are also as many as 300 7 – 11 stores to handle the workload. The new system should aid both employees and employers, they said. Certain restrictions have also been eased for children of migrant workers under 18. Previous Previous post: Quitting my job but Non-B still valid 2 months after my last date – can I still stay?